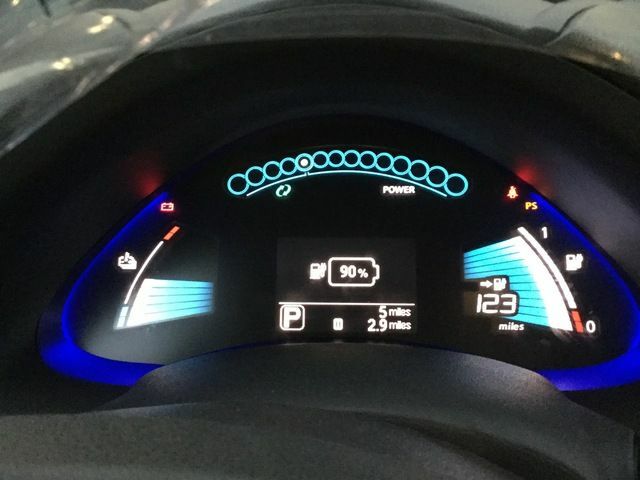 Use this topic to post information about the new 30 kWh Leaf battery. Key information of interest is the AHr rating and Gids at 90% and 100% charge. 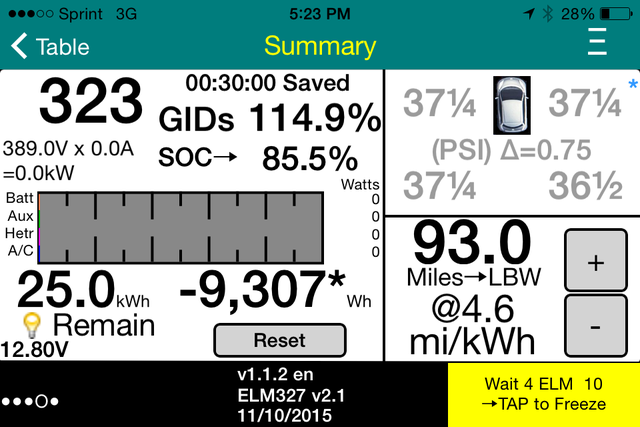 The following screenshots were taken from a new just off the truck 2016 Leaf with 5 miles and the 30 kWh battery. Starting AHr= 82.34 and Gids after a 90% QC was 323. Note this pack is not currently well balanced with one group of 24 cells having a higher set of voltage. After QC to 90% Gids topped out at 323. 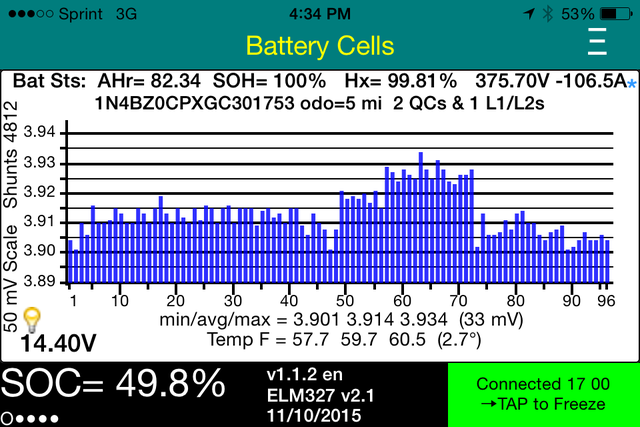 Charge graph of 30 minute QC with cutoff at 90%. 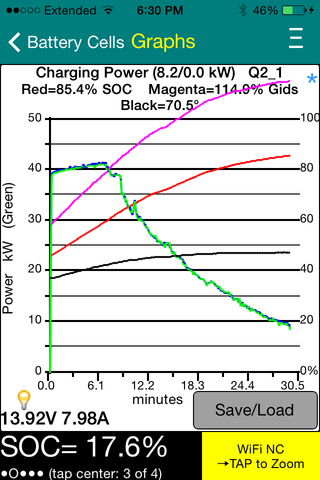 Note that %Gids plot is still scaled for a 24 kWh battery so goes above 100%. Nice work! And very cool to see the 82AHr and 323 Gids! Is it unusual for a brand new battery to be that out of balance? Ooooh.. very nice! Any bets on top Gid count? 340? 350? And yeah, it's not uncommon for a new pack to be out of balance.. 30mV isn't that bad. Thanks Jim, that's a really interesting post. Thanks for sharing. Very cool to see for the first time. I contacted my local dealer to let me know when they get their first 30kWh Leaf and I'll go down and take a LeafSpy reading. Man, seeing that 123 miles makes me want it so bad. What is wrong with me? That's not even that far! pkulak wrote: Man, seeing that 123 miles makes me want it so bad. What is wrong with me? That's not even that far! Probably be "130" miles if full, and "150" miles if in ECO. Well, it's also a brand new car with no history, so who knows what m/kWh it's assuming. But still. Tripple digits, man!